» Spring the best streamer season? I wanted to throw out a little learned biological knowledge that I have picked up while studying and reading. I like you guys so I’ll keep it real… and short. 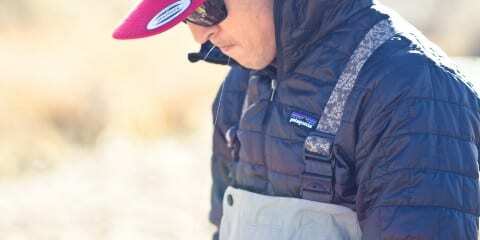 I can assure you that it will add another sharp arrow to your quiver of fishing knowledge. With fall well underway, many anglers have brown trout on the mind, so I wanted to put a bug in your ear for the other streamer season. This tip is for those of you that have a favorite local river or stream that contains a strong, self-sustaining population of BROWN TROUT. I emphasize local because with this tip…timing is everything. It may take a few trips to get it just right. We are going to talk about something in the gravel… but it’s not bugs. 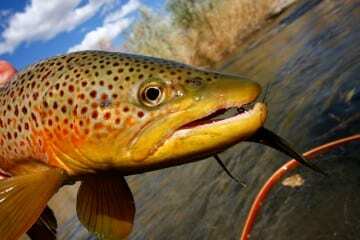 Follow this brown trout life history logic and note the dates… they may become important to you this Spring. Disclaimer* This will happen everywhere with Brown trout (and other species, different times of the year), but I used a local river in UT as the example. Adjustments will have to be made for your differing climate, elevation, temperatures, etc. MY river ranged from 4,500′ elevation to 6,500′ elevation. If you want more details or a more in-depth explanation, shoot me an email! 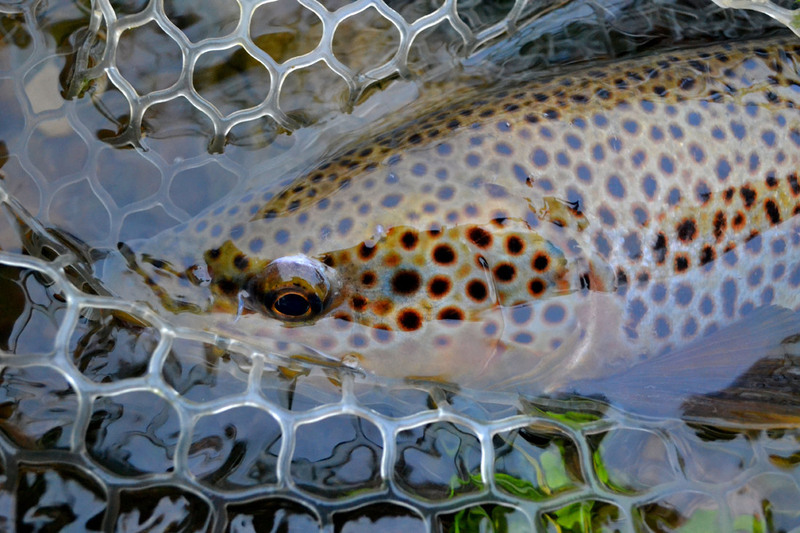 Late October – Mid November: Browns are on the gravel making babies. Take note… Low elevation streams (in UT) at say ~4,000′-4,500′ are warmer than high elevation streams at say 6,500’+. Makes sense right?! Stay with me. Late Oct – April 30th: Eggs are incubating in the gravel. Due to warmer temperatures, egg incubation times are SHORTER and Brown trout fry emerge from gravel EARLIER at lower elevation spawning sites than at higher elevation spawning sites. May 1st – June 5thish (low elevations first then high elevations later): MASS fry emergence occurs!!!! Do you get what I am throwing down? MASS hatch and mass biomass and mass minnow mania and mass scrumptious morsels swimming around like, “Where am I? 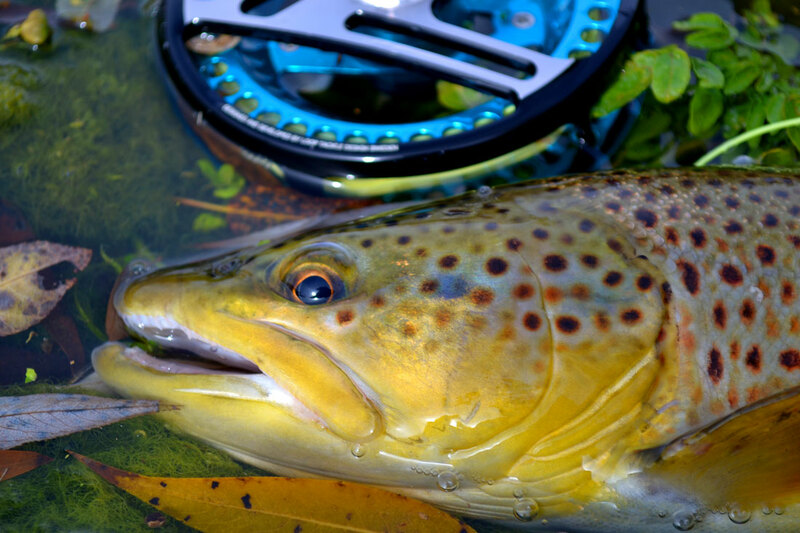 ?” Ever wonder why brown trout fishing with streamers in the spring time can be so…. redonkulous? It is THE hatch that is actually…a “HATCH”. Brown trout fry are tiny when they first emerge, but will quickly grow into the minnows you are hoping to imitate. If you time this right, you could have some of the most epic streamer fishing of your existence. FYI, depending on where your stream or river is located, this can coincide with rising and somewhat muddy water. That being said, I ALWAYS have some of the most epic streamer fishing around this time of year. Since I have been talking streamer fishing, here’s a few pics from the past few weeks. The nice brownie that ate the white steamer chased and ate twice and I swung and missed both times. I rested the fish for 15-20 minutes and came back and got him on my first cast. Here’s a question for you…how long do you guys typically rest a fish that is “worth another shot”??? 1) You saw him but he didn’t even move. 2) He swung and you missed and didn’t prick him, but he won’t move again. 3) He swung, stuck, head shook and came unbuttoned. Fished the middle section of the Provo last Saturday. 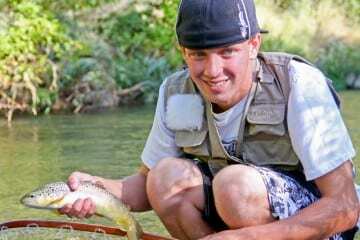 Started out throwing Woolly Bugger streamers, but couldn’t get any Browns to follow or chase. Switched over to an egg pattern with a dropper off to a small JuJu type nymph. Ran that rig over the redds and that was the ticket. My buddy and I couldn’t figure out why the Browns had stopped chasing the streamers, unless it has something to do with the cold-front that had pushed in that day and given us snow that entire time we were out on the river? 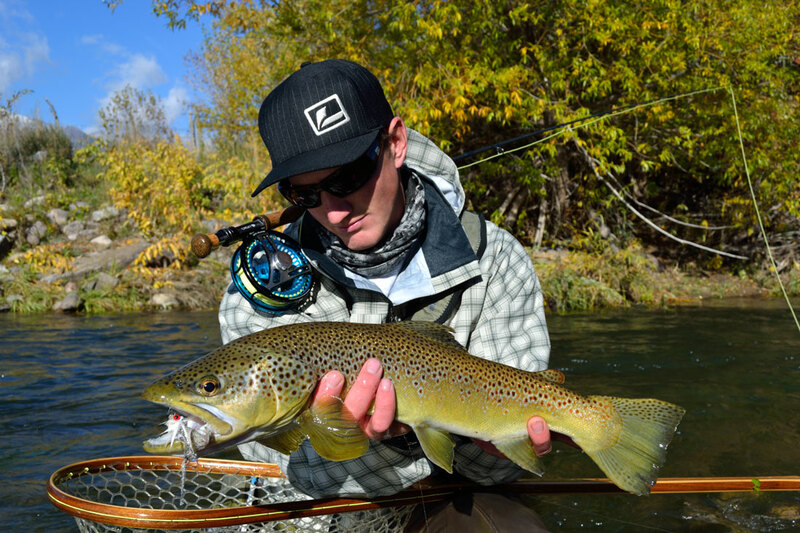 Chartreuse, olive and rust / Rootbeer colored buggers always work well for me right up till mid-December on the Provo and other UT streams — but this is looking like it’s going to be a non-typical Fall as far as the Brown spawn is concerned. Yes, spring (April) is a fantastic time to be out throwing streamers (at least in Utah). 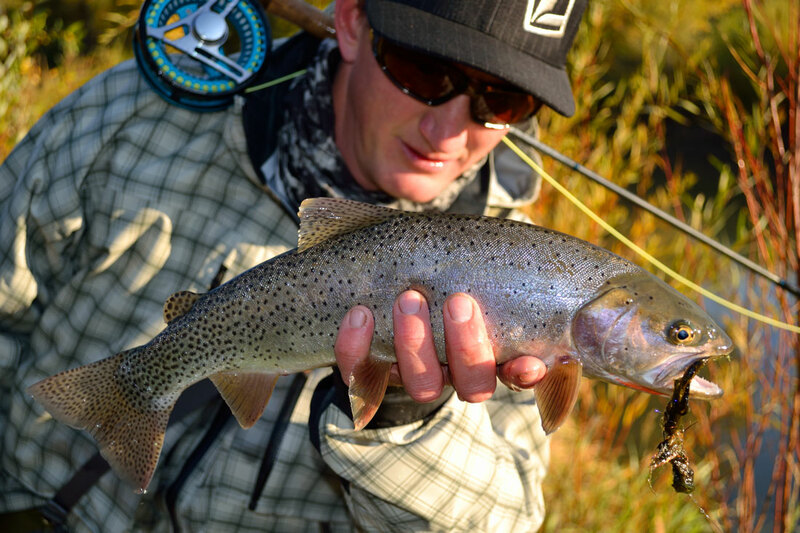 Do you have luck during run-off with streamers? Thanks for the comment Mark! Great insight. From what I have seen, as the spawn progresses, “other things” take priority over chasing streamers. Fishing with anything other than an egg would be pointless. 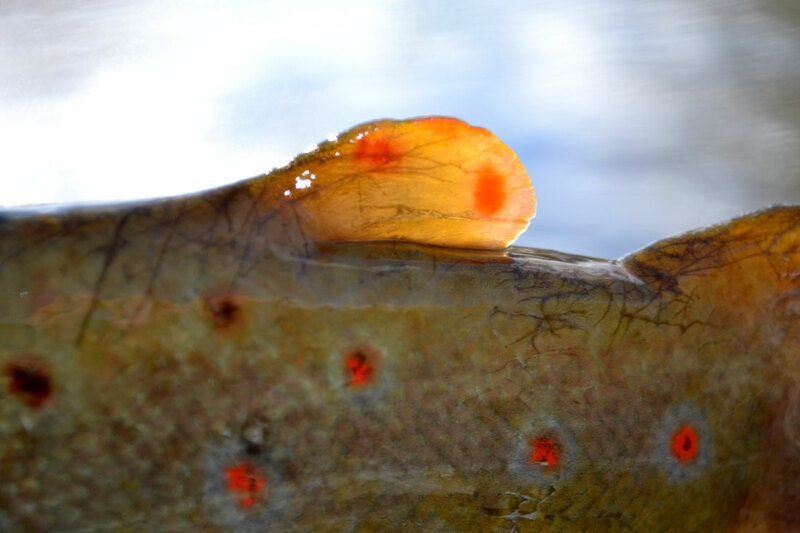 Fishing eggs ( or rather, fishing on redds) can be controversial among anglers but that’s another argument for another time… Lets talk streamers! Anyone have a “resting a fish” story? I have had some epic streamer fishing on rivers as they start to rise and get muddy. However, I am skeptical of fishing a river once the visibility is less than 6″. I guess what I’m trying to say in a weird, roundabout way is no, I don’t fish a river during peak runoff and YES during the early onsets of high water. 1) If I know he got a good look, then I change flies and make sure he gets a good look. Repeat. If on the 3rd fly I get nothing, then move on. 2) Either change flies to something similar and go again immediately or change flies and wait 10 minutes. This has a lot to do with whether or not he actually ate and how well. Missed hook sets are often because the fish didn’t really want the fly. 3) Hit him again immediately with same fly. If nothing after 2-3 looks wait 10-15 minutes. 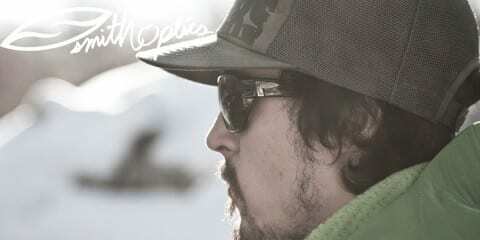 Wait time is dependent upon what else is around to fish. 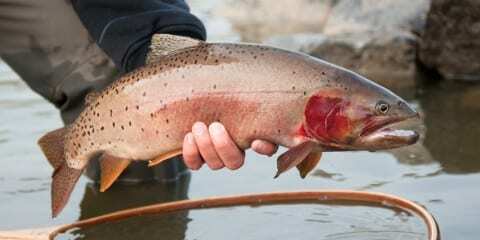 When I am streamer fishing I generally am not sight casting, it is throwing in deep runs and pool where you can’t necessarily see the fish until they chase and flash. Where there is one fish ready to take a streamer there are almost always two. If I am in a place where there aren’t any other opportunities I will wait another 5-10 minutes before trying again and moving on. Good Stuff Riverboat! My general rules are very similar in regards to resting fish. I’m glad you brought up changing colors/streamers. Amazing what that can do for ya on a given day. 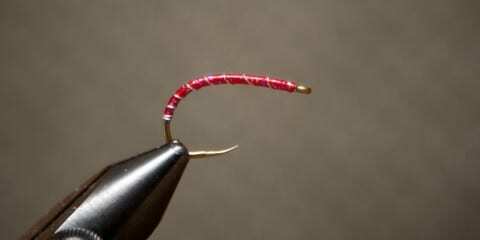 I had a morning last Spring when I was throwing a white streamer for an hour or so and had moved some fish, even caught a couple, but when I changed to olive it was on like DONKEY KONG. The next day I started with Olive and came to find out an hour later…they wanted WHITE! !